You cannot deny the distinctness and unique shape of a KitKat - those four-fingers of biscuit covered in delicious Nestle chocolate. For years of working, I had one alongside my packed lunch. Breaking off the square fingers and sharing with a colleague or just 'dunking' one in a mug of tea is a delight. The KitKat bar has remained roughly the same since Rowntree & Co developed it in 1935, selling out to Nestle in 1988. However, serious competition could be on the horizon. The makers of KitKat have just lost a court case to trademark its distinctive shape, which could open the flood-gates to other less substantive chocolate manufactures, producing poor quality CopyKats. I can image them now, tumbling off the shelves at Aldi, Lidl and other cheaper supermarkets. According to UK press reports, Nestle claimed that the shape of the four-finger bar was unique and it wanted to ensure that its rivals could not produce their own version. 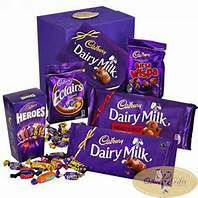 But a High Court Judge, on Wednesday, blocked the move following an objection from Cadbury. 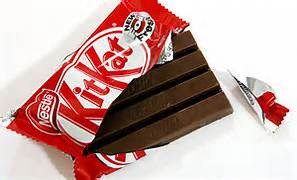 Nestle which sells £40 million worth of KitKats in the UK every year, had argued that even without its red and white packaging or the word KitKat embossed on the chocolate, the shape was distinctive. 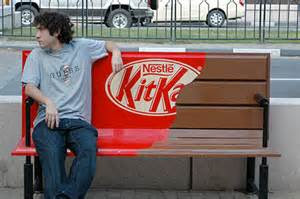 The court was given a survey which found that 90% of people shown a four-finger chocolate bar identified it as KitKat. The difficulty, according to lawyers, was the difficulty of protecting trademark protection for shapes. It was reported that there was a good chance competitors will produce similar-shaped products. Nestle bosses said that they intend to appeal the decision. Cadbury argued that Nestle should not be given the right to monopolise the shape of KitKat, but a spokesperson for the company is reported as saying they could not say whether Cadbury planned to produce its own version of the KitKat.